Its a very bad device,without upgrade compatibility,you can´t upgrade it.I try to upgrade to 2.3 gingerbread and i received a message that is incompatible.And i ask to people who want buy it for don't do that.And in Portugal it is sell by the name of the worst operator call Optimus.It have a lot of diseases and a lot of software troubles.That's the reason the european mobile operators don't sell him e that white brand it was banished from all operators. ZX_Spectrum, 02 Jul 2011I have one form Optimus (PT) and i am very happy with it. It came with android 1.6, but i upd... moreI've just bought it now! From Worten.pt! Cost=79,90€! 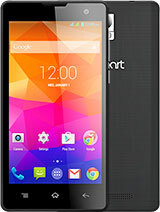 I have this phone, but i am having difficulty downloading software from the android market each time i tried it always shows download unsuccessful, facebook takes ages to open, presently WI-FI and Blue tooth application don't even work anymore. can somebody recommend what i can do to get it resolved and to work in perfect order. 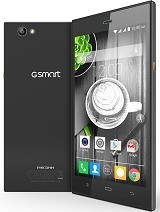 hello good day I have the Gigabyte GSmart G1305 Boston brand holding the phone screen and touch pad broke Where can I get support from this piece of information about this construction? I have one form Optimus (PT) and i am very happy with it. It came with android 1.6, but i updated to 2.1 and it's even better now! One question: Does the screen have good scratch resistence? I put a screen protector in mine just in case! i have one too,it works really good and its really fast :) i recomand it for anyone with a limited bugett. I have one and it's running Android 2.2 now. Working just fine thank you :D Worth every penny spent on it. i have one in spain, Orange Boston. and it is a great nad very cheap (0€) mobile !!!! its okay for general use but downloading or updating software seems to be a problem. where can i purchase this phone overseas? thanks. 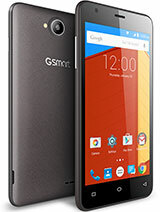 any1 tried a 16gb microsd in it? I want a 360° view of this phone please. Anonymous, 17 Feb 2011@ this codfish buy 1 for iphone 4! fits like a gloveIphone4 cover fits to this mobile? No need to cut edges or holes? Are you sure? 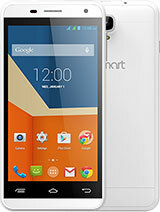 Marvelous masterpiece of engineering electronics ..this phone offers so much at a very low price. it is better than htc, better that iphone , better than galaxy s.. see quandrant benchmark.score better than the desire or galaxy s. wish you best! 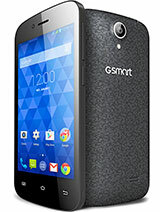 Total of 140 user reviews and opinions for Gigabyte GSmart G1305 Boston.